Here’s our calendar for “Season 10″, the 2018-2019 school year! 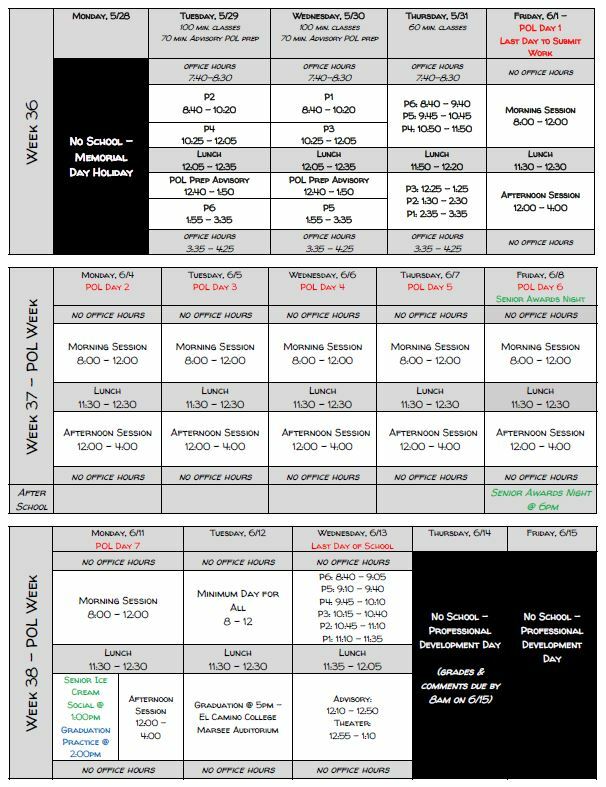 Here are the weekly schedules for the remaining weeks of the school year! Summer SAT Prep Course @ Da Vinci – Signups are now open! We are pleased to announce that this summer, DVS will be offering an SAT Prep Course leading up to the August 25th SAT testing date. The course is a $499 value, but Da Vinci is able to offer it to our students for only $99. Need-based scholarships are also available (please contact me to apply). The course includes 2 full practice tests, 24 hours of instruction, and all materials. Use the code “dvsfamily” at checkout for the discount! Classes will take place from 9am to 12pm on campus and the practice exams will takes place from 9am until about 1:30pm (also on campus). This is a tremendous opportunity for both rising Juniors and Seniors to increase their SAT scores and bolster their college resumes, so don’t miss out! Spaces are limited and will fill up, so sign up today! Next week is Teacher Appreciation Week…it’s a great time to write a note of appreciation to a teacher or counselor who has helped your child learn and grow this year! Here’s the schedule for the week!